This June, the publisher Vintage will release a set of 20 "Vintage Minis: short, compelling titles on big subjects collected from the world's greatest writers. Each Vintage Mini will comprise of a complete reading experience and will be around 100 pages long. 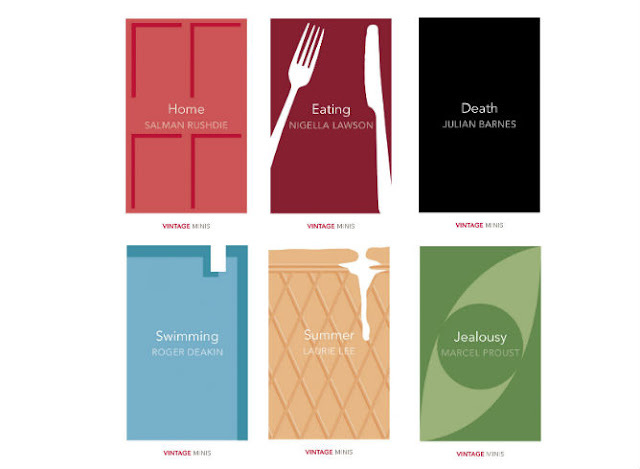 The titles are to be published in A-Format (the size of most mass-market paperbacks) and will feature a range of fiction, non-fiction and essays. 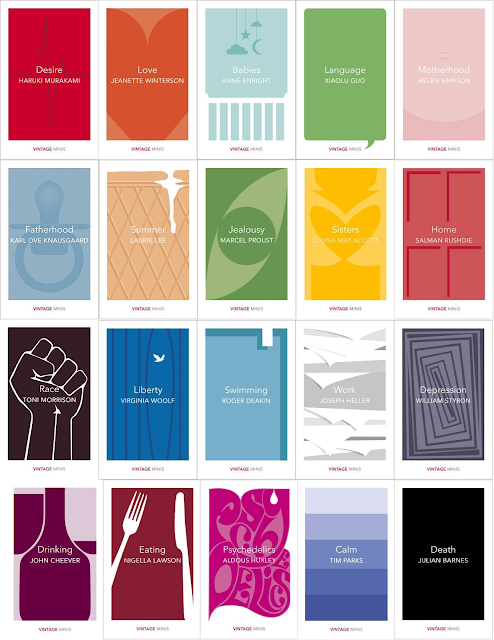 The cover designs for the series are minimalist but vibrant; a different designer was chosen for each edition. Priced at just £3.50 each, they are sure to please readers who would like to broaden their reading habits with a short dose and perhaps inspire exploration into lengthier works from Vintage's back catalogue. Learn more about the forthcoming collection from the Vintage website.